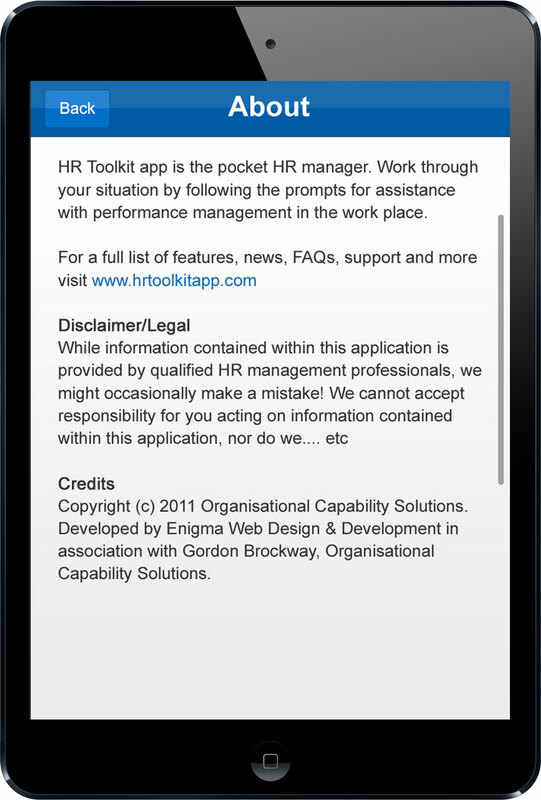 This App may assist with the effective management of performance issues that generally arise in commercial/government organisations. It is designed to assist with the management of high performance and the management of under performance of employees. In the cases of underperformance, it assists the user to identify the probable causes of that underperformance and how to rectify that situation. It includes information on how to structure the discussions that will need to be had with the employee. Work through your performance management situation by following the prompts.